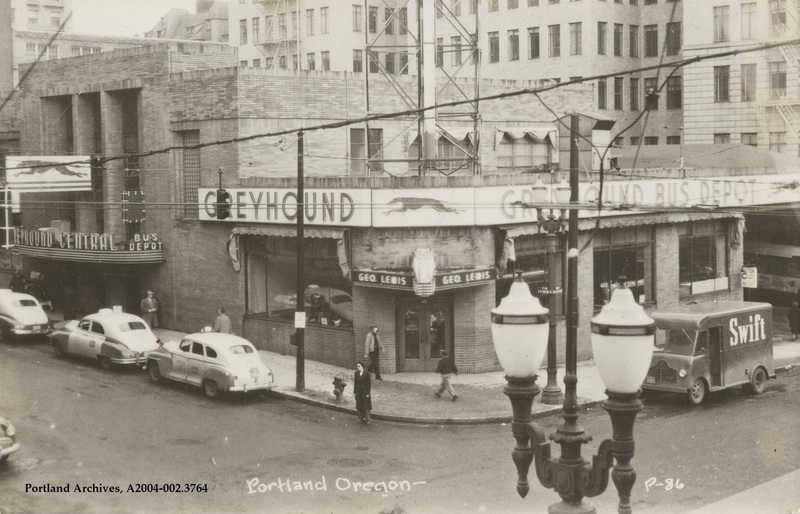 The Greyhound Bus Depot located on SW Taylor Street and SW 5th Avenue, 1948. City of Portland (OR) Archives, A2004-002.3764. View image in Efiles by clicking here. 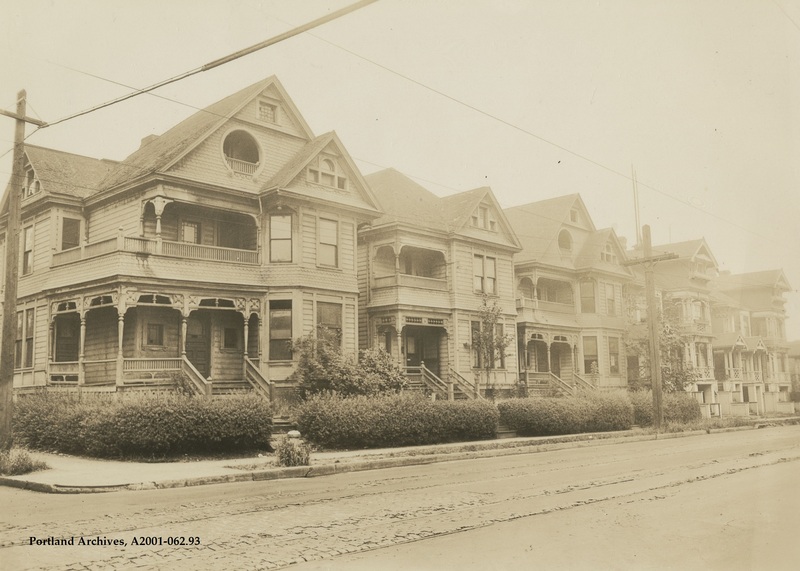 Houses on the west side of SW 16th Avenue between SW Yamhill Street and SW Taylor Street, 1929. T According to the note on the back of the image, three of the five residences were vacant at the time the photo was taken. 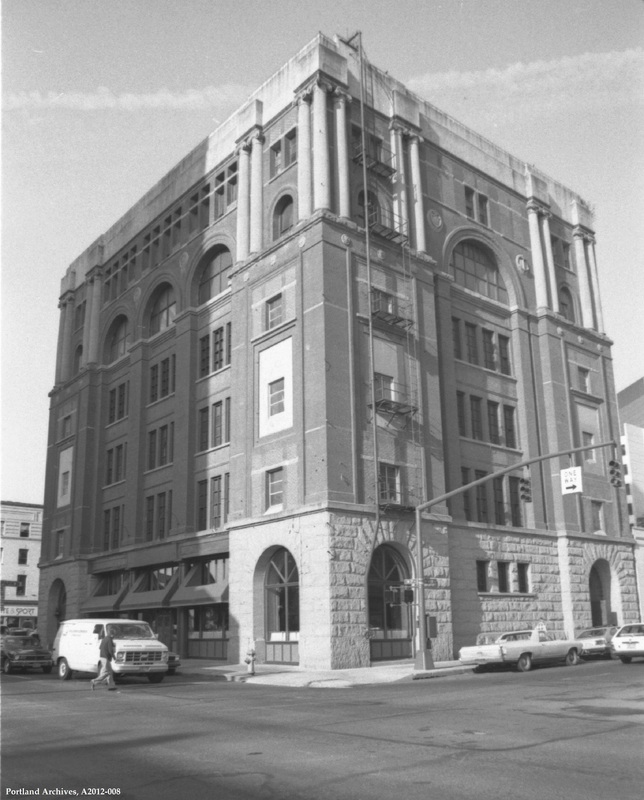 City of Portland (OR) Archives, A2001-062.93. 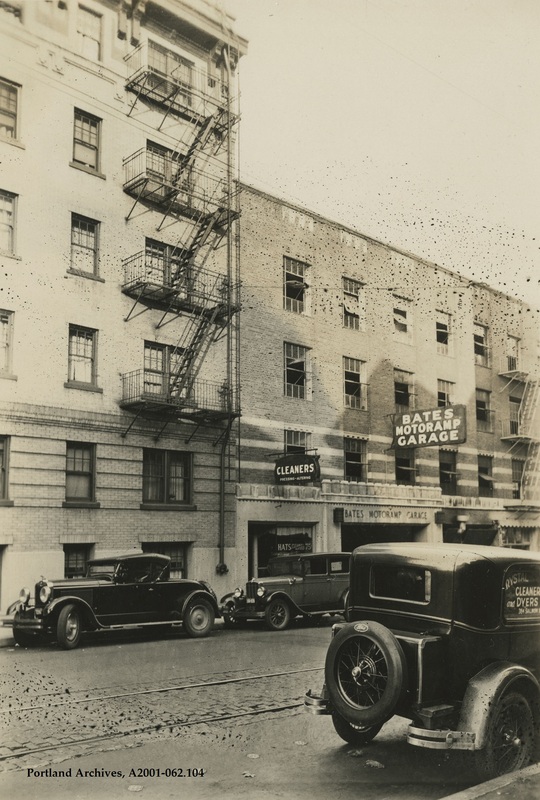 The Bates Motoramp Garage,1929. 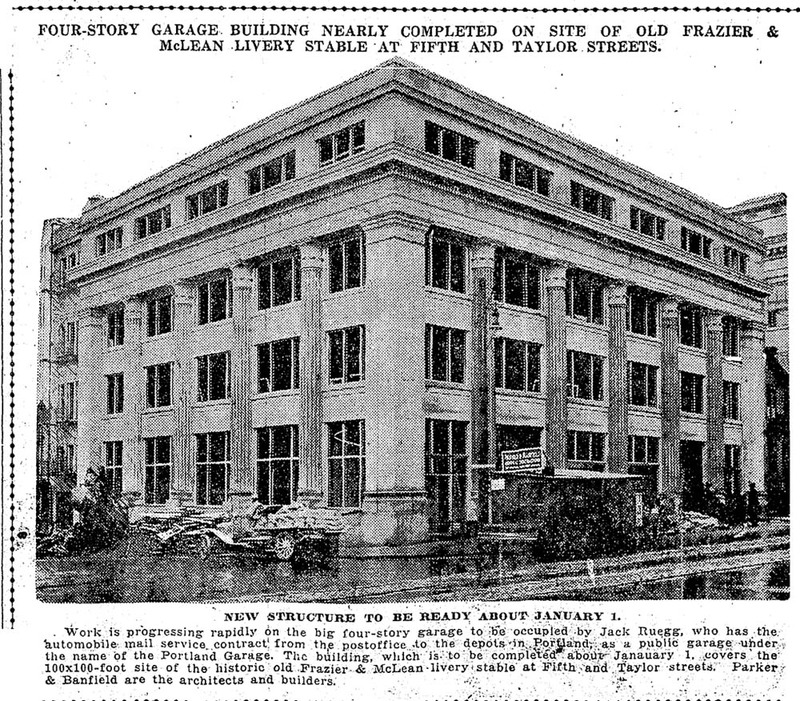 The garage was located at 386 Taylor Street according to the 1929 Polk Directory. After the street renumbering it became 914 SW Taylor Street. 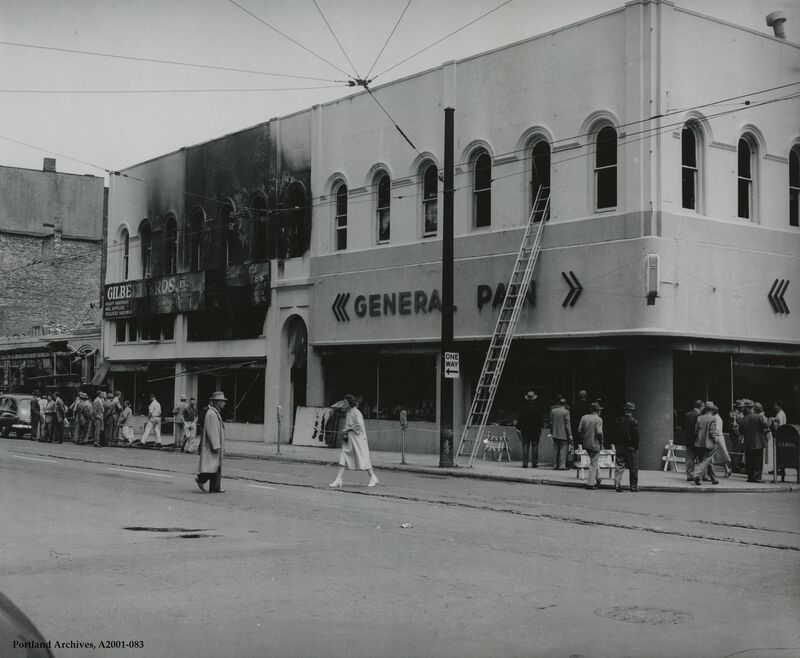 The corner of SW 2nd Avenue and SW Taylor Street looking west, 1981. 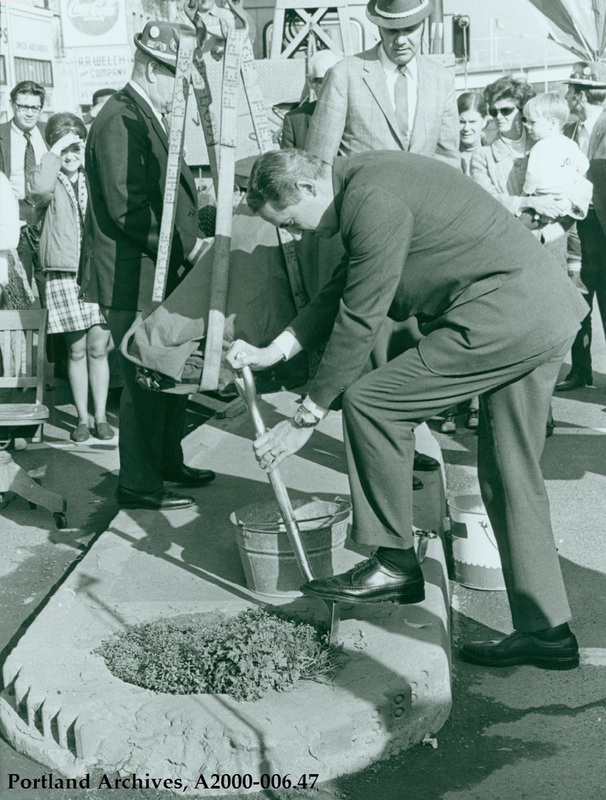 Mill Ends became an official Portland city park on St. Patrick’s Day in 1976. Many of you know it as the “world’s smallest park.” Mill Ends is located at SW Naito Parkway and SW Taylor Street. The park’s ceremonial groundbreaking was performed by Commissioner Ivancie. Click here to learn more about the park’s history. It’s been many years since a parking garage was built with ornate columns, and we’re unlikely to see it ever happen again. 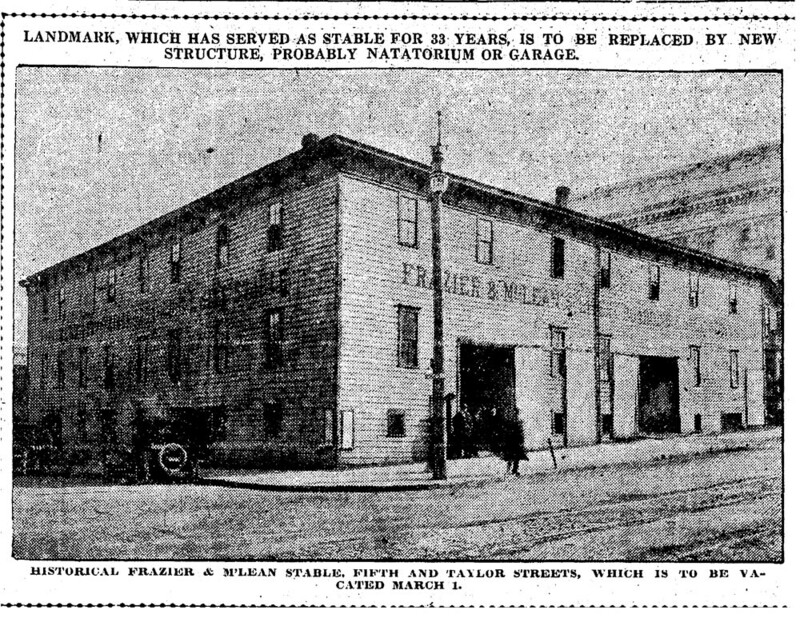 This garage was built on the southeast corner of SW 5th & Taylor in 1917, replacing the Frazier-McLean Livery Stable, bottom image. The Multnomah County Courthouse can be seen in the right distance of both illustrations. The Standard Insurance Center is now on that block.